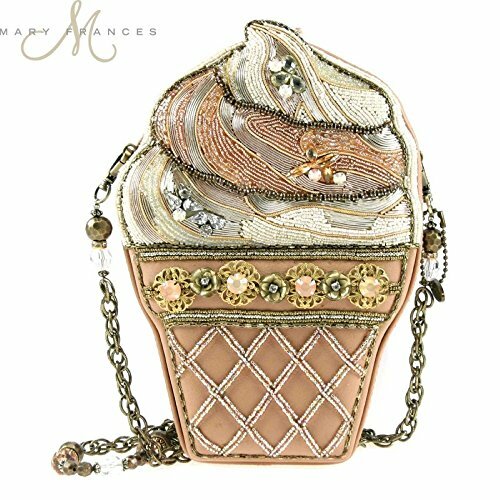 Mary Frances' forever popular bracelet bag. Golden green shimmer silk embellished with bronze, gold and golden green bead work. Magnetic top closure. Embroidered silk handle. These are the coolest novelty bags, very popular and very expensive.